To search for specific machines, no special permissions are required. To find the necessary machine(s), open the Machines tab. Here you can filter the list by backup server, or in the Name search field, supply the machine name or a part of it, and click Find. For each machine, you can click the link in the Restore Points column to view the list of all restore points created for it, either on schedule or on demand. To delete a machine from a backup stored by a backup job in the repository, select the machine and click the Delete button, then confirm the operation. The deleted machine is not removed from the list of machines immediately. 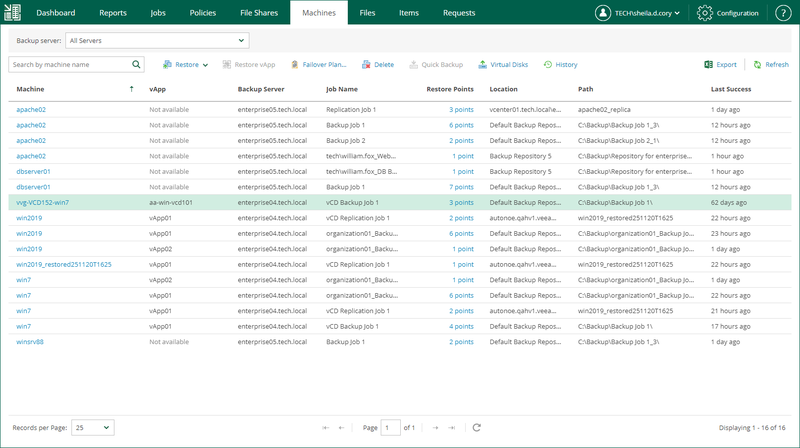 The machine will be removed from the list after records about the machine are removed from the configuration database on the Veeam backup server. Once this operation completes, a notification will appear at the top of the Enterprise Manager UI window. Firstly, the corresponding records from Veeam Backup Configuration database will be deleted, and machine will be no longer displayed in the UI. 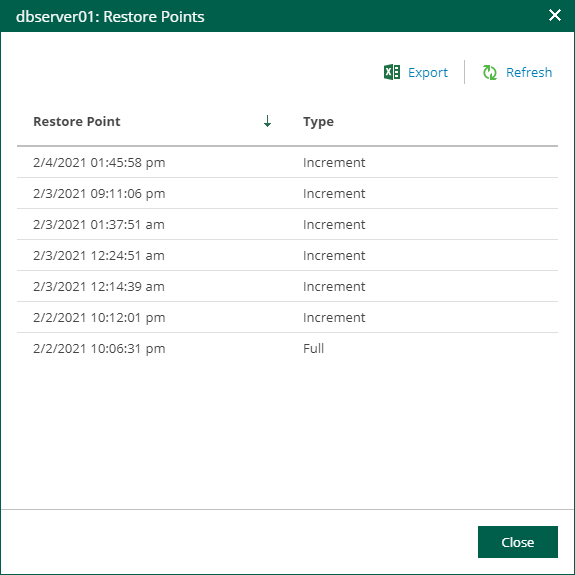 Once the machine is deleted from the Veeam Backup server, user will receive a notification. This operation is applicable only to backups created by backup jobs. If several machines are processed by the same backup job, deletion of the selected machine will not affect other machines in the job. The delete operation is not available for replica machines, storage snapshots and machines backed up to tape.